Michael Mann, one of the most confident visual stylists to come out of the slick ’80s, went punk in the mid-2000s, getting deep into space-smearing, off-kilter digital camerawork and patchy sound mixes. Mann’s spent most of his career making mass-market art films, but around 2006’s Miami Vice, the art got weird and abstract and rough. It’s as though, having established himself as an impeccable widescreen craftsman, the director had to go in search of new, stranger textures. 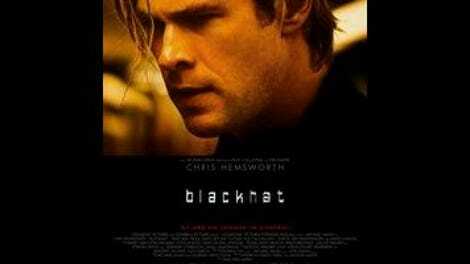 Mann’s first feature in nearly six years, the hacking thriller Blackhat is rough even by the standards of its director’s current creative period. It’s the kind of intentionally unpolished work that invites thought experiments of the “if it were directed by anyone else…” variety, even though no one else would—or could—make a movie like Blackhat. The sound design is deliberately erratic, rendering a good fifth of the dialogue unintelligible, and, though shot on the industry-standard Arri Alexa camera, the movie has a smudgy, bumpy look that brings to mind the early years of digital cinematography, when people still called it video. It has a lot of raw energy, and raw energy goes a long way in a movie that mostly consists of people typing and pointing at screens. Blackhat’s plot isn’t byzantine, but sometimes feels that way, because it’s rooted in intangibles: commodity futures, personal codes, information moving between agencies, money moving between banks. It begins with the Earth rotating slowly, crisscrossed by channels of data, visualized as white lines that resemble the surface of Europa. Each cut reduces the scale, from a hemisphere to a continent to a satellite view of a coastline to a power station and a room and then a server, until the viewer is plunged into the microscopic inner architecture of a hard drive, watching data move. Back-to-back cyber attacks hit a Chinese nuclear power plant and the Chicago Mercantile Exchange, and though seemingly unrelated, they suggest the work of a single hacker. A joint Chinese-American task force is put together, headed by Barrett (a no-nonsense Viola Davis) and Chen (Leehom Wang). There’s a complicating factor: The remote tool used to execute the attacks is built on the foundation of a program Chen co-wrote as an MIT undergrad. In order to catch the hacker, the task force furloughs Chen’s college roommate, Hathaway (Chris Hemsworth), who is serving time in a federal penitentiary. Being the hero of a Michael Mann movie, Hathaway is able to negotiate the furlough into a commuted sentence, conditional on the arrest of the mystery hacker. From here, the movie plunges straight into the director’s established, fatalistic neon universe of loner professionals, doomed romances, late-night coffee shops, private jets, speedboats, and blistering urban firefights. Hemsworth’s performance suggests that he’s internalized the Mann canon, bringing to mind William Petersen in Manhunter, Robert De Niro in Heat, and Colin Farrell in Miami Vice at different moments. It’s easily one of the pulpiest things Mann has made, a chase mystery whose hero is a hacker who’s handy with a gun, and it’s paced like the flow of information across the globe. Even the title, slang for “cyber criminal,” has its roots in pulp fiction. It’s also a complex and at times challenging portrayal of an effectively intangible conflict, where money matters only as “a scoreboard.” Nobody works a theme like Mann, who can invest a shot of a character framed against an ocean or a white wall with real moral weight, as though that endless blank space were some kind of mirror for the soul. He takes insider jargon, military tech, and skyline architecture, and arranges them in ways that are poetic, producing images and turns of phrase that transcend milieu: a speedboat moving through Hong Kong Harbor at night; gunmen huddled behind concrete blocks at the end of a tunnel that resembles a Richard Serra sculpture; the most beautiful shot of a ringing cell phone ever filmed, its screen framed like a monolith. 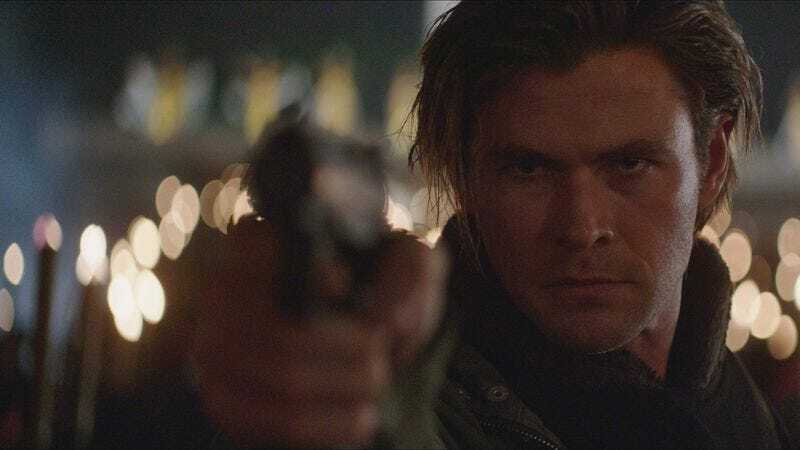 Blackhat is, by and large, a decentered, minor work, full of things its director does better than anyone else, but which he’s also done better elsewhere. That, however, doesn’t change the fact that Mann is working in a texture—unfamiliar, chaotic, so hard-boiled existentialist that it verges on mysticism—that’s major on its own.